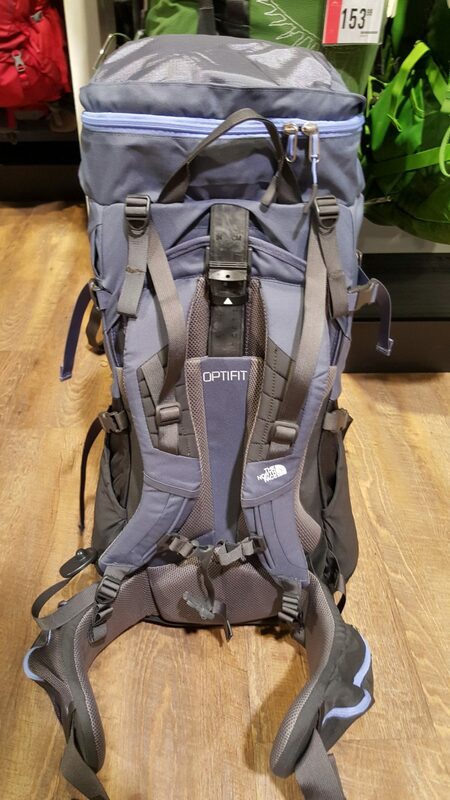 Trekking Backpacks, Travel Backpacks, 65L, 80L, Osprey, North Face, there’s a huge selection of travel backpacks nowadays and with all the brands and opinions, picking the perfect pack can be a daunting task. But from eight years of globetrotting experience I can tell you firsthand what has worked for me and help point you to the best pack for you. Remember, this will be your home for the next while, so you need to have a good relationship with it or the struggle will be more than real. But with so many brands and packs, where do I start? 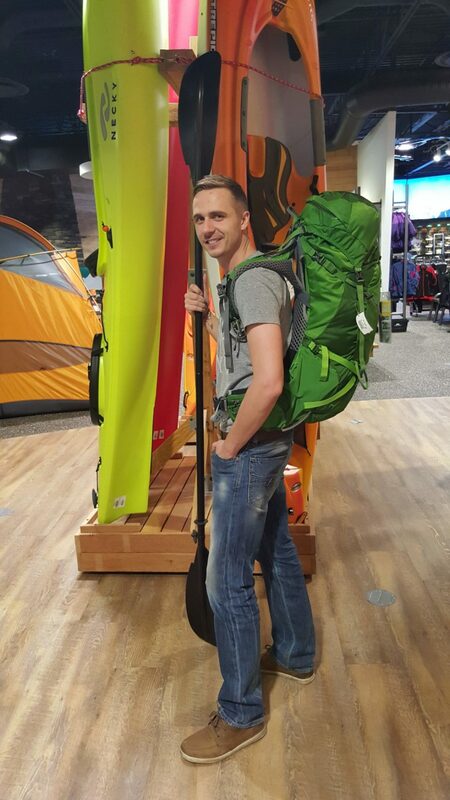 Walk into a hiking or traveling store and you will be faced with a large selection of packs, ask for help and the sales clerk will give you a biased opinion on which brand the store stands for. While it’s true not all brands are equal, this doesn’t mean that one brand’s entire lineup is superior to another’s. 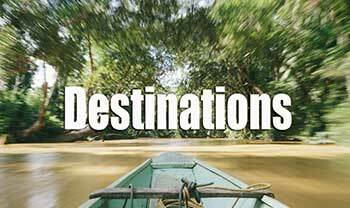 The first thing to do is to identify what pack will suit your kind of trip and what kind of traveler are you. How long is my trip? 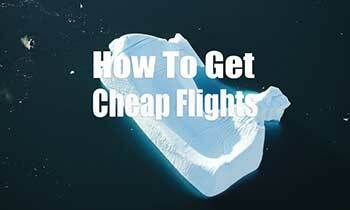 If your trip is anything over a few months you may want to look at buying a larger backpack. 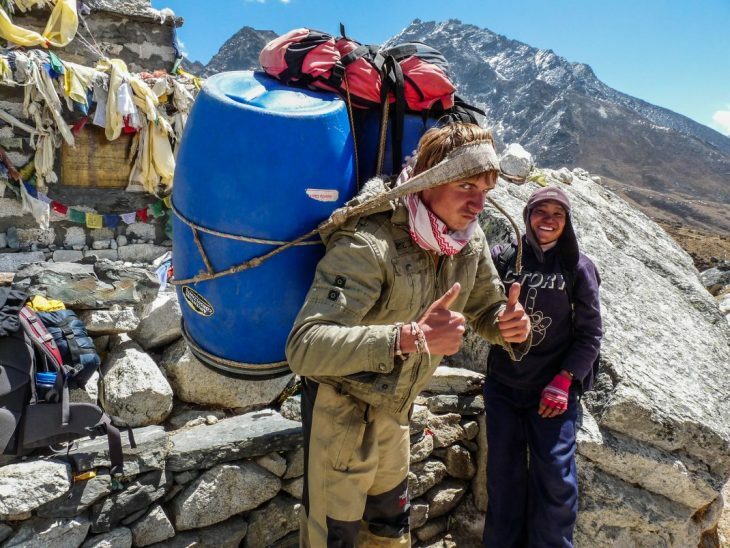 Backpack size is given in litres, Common ‘backpacking’ sizes range from 40 – 80 Litres. 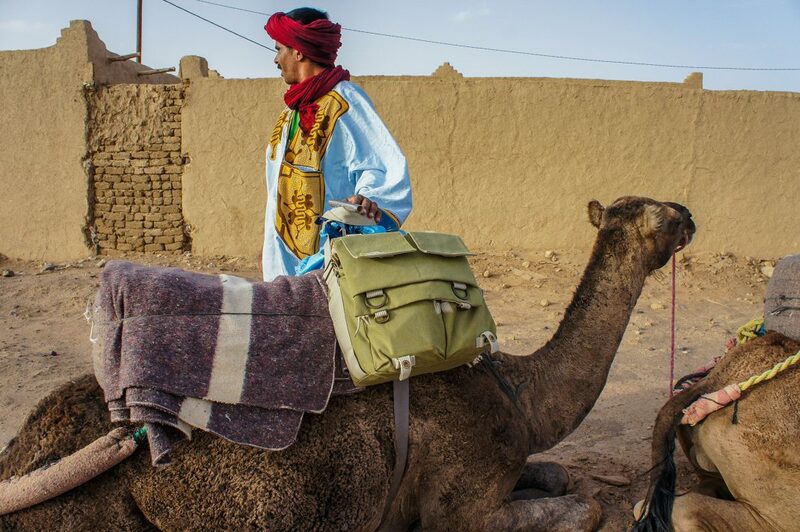 I find that on a five month trip a comfortable size is around 55 – 65 litres, giving you ample room for clothes and tech gear and also enough space to stuff that large plush camel you just had to buy. 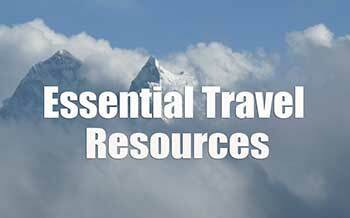 If your trip is anything over four months you may want to look at buying a larger backpack. 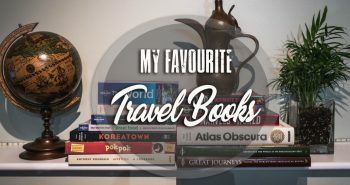 Am I a traveler who loves to shop? If you answered yes then you are not alone, shopping is one of the greatest joys of traveling but it comes with a hidden cost – carrying all of your purchases. I often look back at all the great things I could have bought but didn’t because I was afraid it would not fit in my pack. If you know you want to collect treasures along the way, make sure your pack has a large central pocket big enough to stuff a rolled up carpet or wooden elephant – no need for small pockets or extra detachable pieces. Happy Haggling! Will my trip include hiking? 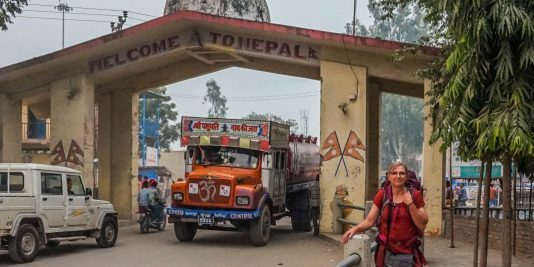 Whether you’re going to Italy or Nepal you will be carrying your pack for long durations, but there is a significant difference between hauling your bag between the airport and the hotel and walking from one Nepalese village to another. If you are not headed for the ends of the earth, stick with a bag that feels comfortable on your back. 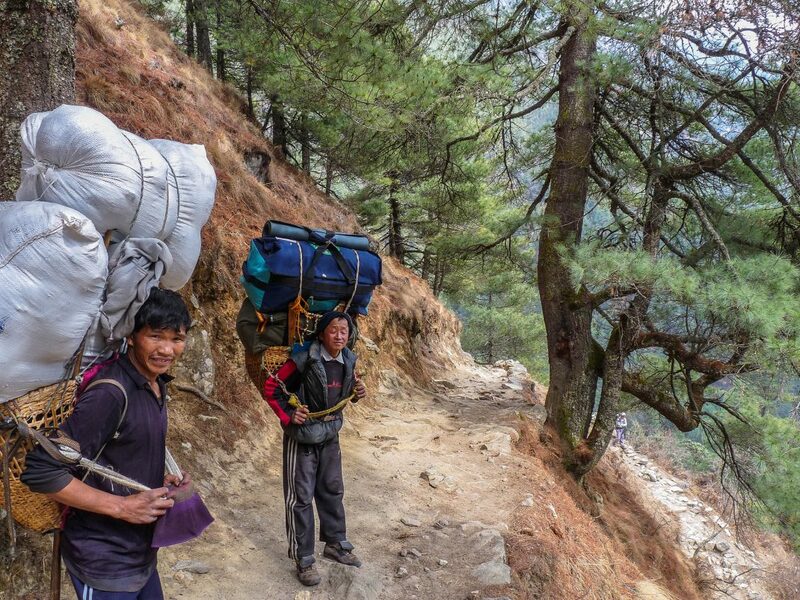 If your trip includes mountain peaks, secluded valleys, and everywhere in between, you’ll need to consider weight and durability as your primary needs. 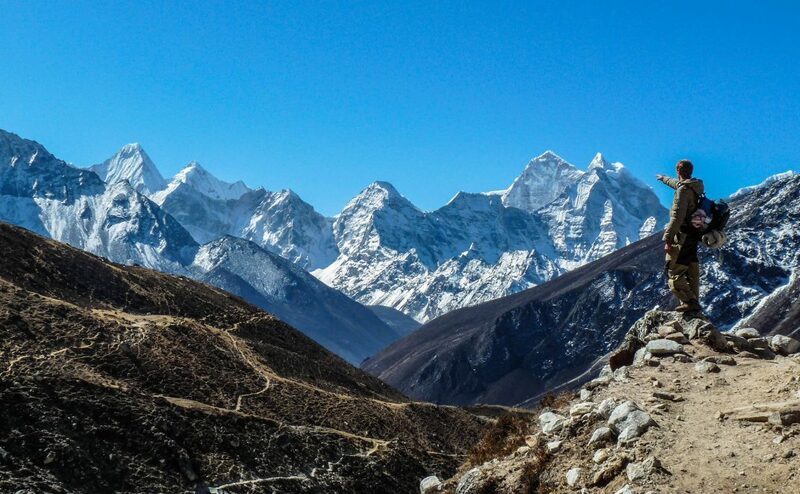 I can tell you from experience that hiking with an overweight bag leaves you thinking more about the frustration and pain rather than the scenery. What personal items will I take? Everyone I have traveled with has different needs. Some like to have plenty of clean clothes, others need a large supply of personal hygiene products. I encourage you to gather all your personal items in a pile and see how much weight and room it takes up. This will increase or decrease the size and type of bag you need to consider buying. It’s a good idea to try and cut down on some of these items and remember you can usually purchase them abroad. Just to be safe pre check your supply and research what’s available wherever you’re headed. Will I be bringing Camera Equipment? Most travelers love to take photos, and then there are those of us who travel solely for photography. Enter any camera store and you’ll see how enormous the equipment can get: lenses, tripods, and filters; the list goes on. 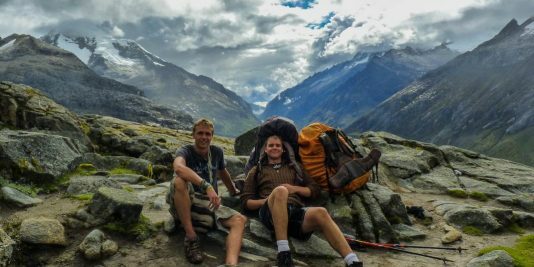 If this is your dilemma then your best bet is to choose the more durable type of backpack with thicker padding and larger waist straps. Unfortunately, you will have to sacrifice some comfort with the increased weight but, Hey! nobody said being a photographer is easy. Am I Traveling alone? Or with a friend? This might not sound as important, but it can be a big factor if you’re traveling for a long time. 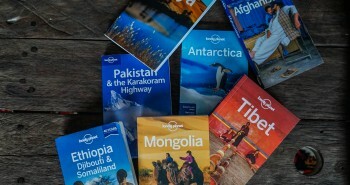 On large trips to off the beaten track places you’ll be required to bring all the guide books and information in with you, as internet and book shops are often available in English, if at all. 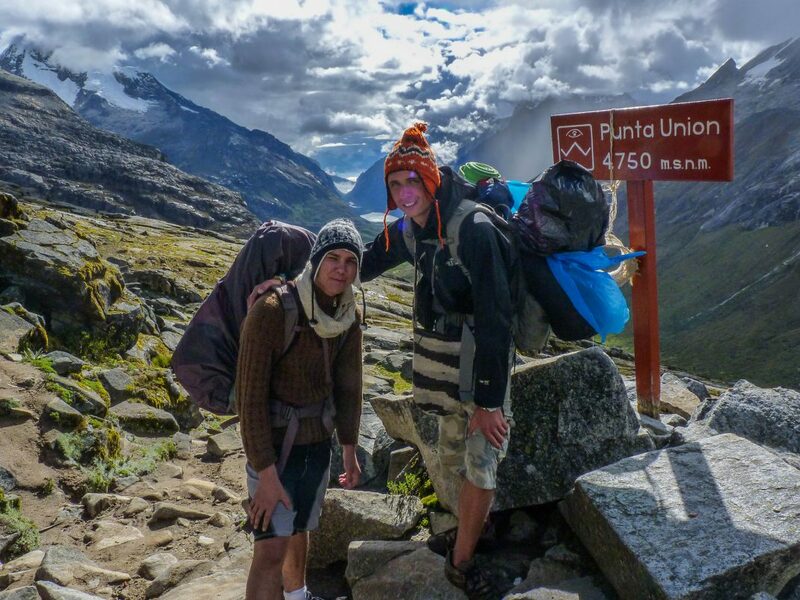 If you’re going in alone you’ll be carrying everything yourself, but with a friend you can split the weight of guide books, laundry soap…and dirty socks and underwear. 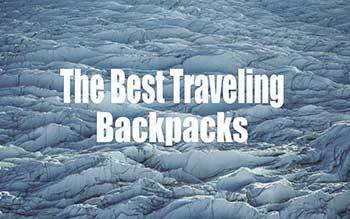 These are the most popular choice among backpackers, mostly because they are most common kind of backpack around. Before the days of mass traveling there were no other kinds of backpack, so travelers were left with this as their only option. 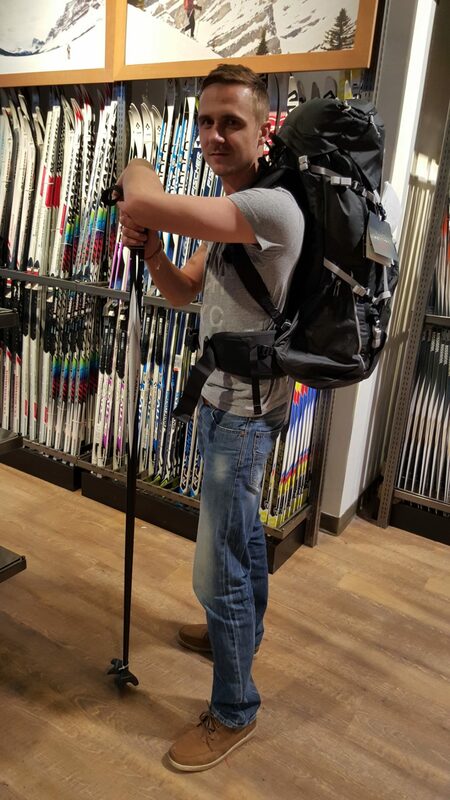 Still, hiking packs are still a great option. They load from the top and usually offer lots of extra features such as reinforced and padded straps, waist straps and frames that can be personally molded to fit your body, and plenty of detachable compartments for easy organization. The only downside is that as they load from the top, to get at that fresh pair of socks buried deep in your bag you are going to have to wait to get them or empty the entire bag. Hiking backpacks also tend to be very narrow so wider items don’t fit and the pack quickly gains height as you stuff more into it. 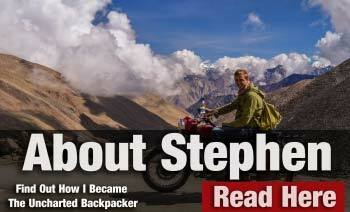 Travel Backpacks are the new hip pack in the world of traveling! They feature easy access front openings and are wider rather than tall like hiking backpacks. Some of these packs even come with a steel frame with small wheels, transforming it into a small suit case. 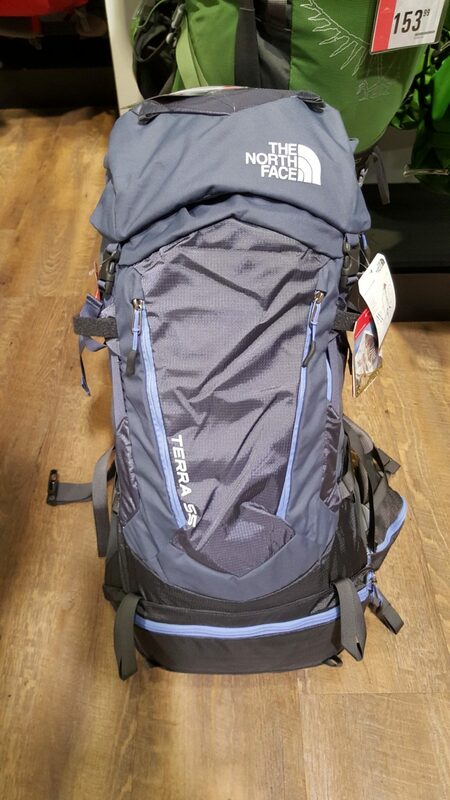 Travel backpacks tend to range between 45L – 65L, but I have seen some as big as 85L. 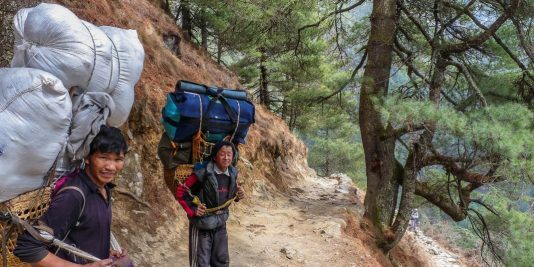 The downside is they are not sturdy as hiking backpacks, so you’re carrying them for longer periods of time they tend not to be as comfortable. I find them to be much less durable and not last as long as hiking packs. The selection is also more limited. However, if you’re heading on a 2-3 month trip these could really benefit you and your packing needs. Backpacks come with many different styles of shoulder straps. Cheaper packs tend to just have basic padding but the higher end models have more selection and usually last much longer. 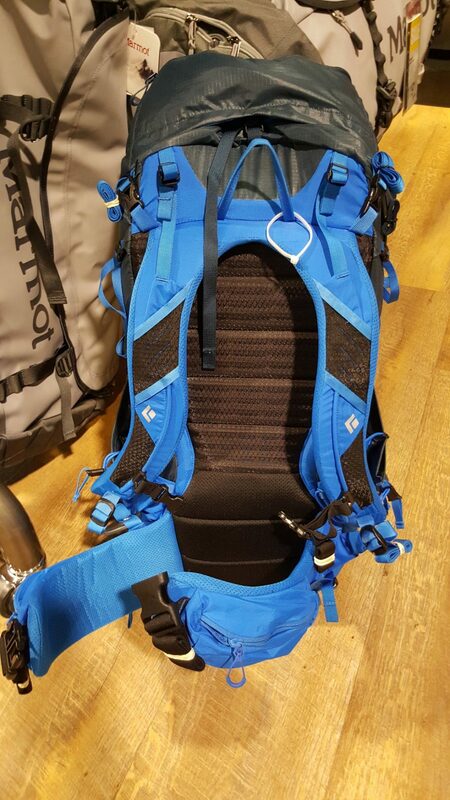 When looking at shoulder straps it’s best to try the pack on in store with added weight to see how it will feel once stuffed with trip essentials. The shoulder straps should feel comfortable and not rub awkwardly or pinch. Chest straps will help distribute weight evenly across your shoulders – make sure you can fit 1-2 fingers between the strap and your chest when the pack is fully loaded. If you’re headed somewhere hot, look for straps with added breathability. 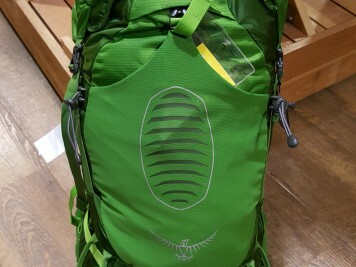 Osprey in particular makes a great line of packs with a well-vented framing system –including the shoulder straps- that are great for those days spent finding your way out of a steamy jungle. This one is important. 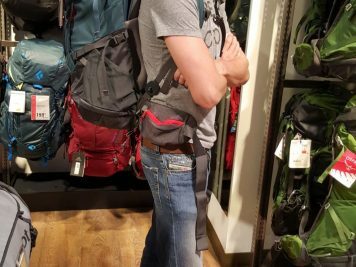 The waist strap holds the majority of the weight and centers it through your hips rather than on your shoulders, so trying the pack with weight and making sure it fits your body is essential. The centre of the strap should sit at the crest of your pelvis – not directly over the hip bone. Most hip belts will be padded, but extra padding can cause over-heating in hot and humid climates. Many backpack lines now allow you to heat mould the belt to fit your body. This is a great option and usually increases the comfort level. Checking the buckles on the waist strap is also a good idea, because if one breaks then all the weight will be resting on your shoulders. Some packs now have extra buckles on non-essential compartments that can be swapped out for broken waist buckles. 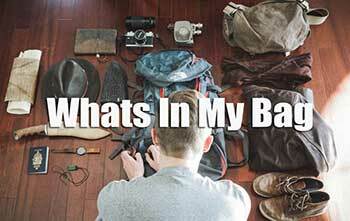 Most backpacks have these, especially the hiking packs. They come in handy if you are tall or have a different frame than the standard backpack. Almost all brands feature lines specifically for Men or Women so that you really can find the perfect pack for you! Now you can simply adjust it so it fits better and transitions the weight properly between your shoulders and waist. 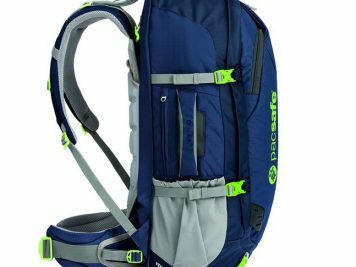 Most hiking backpacks come with a large centre compartment and smaller top compartment. The travel backpacks tend to only have one large centre compartment. Compartments are useful to separate and organize your belongings. For example, it’s a good idea to separate your bathroom products from electronics, shampoo and toothpaste may leak or explode in frequently jostled packs. 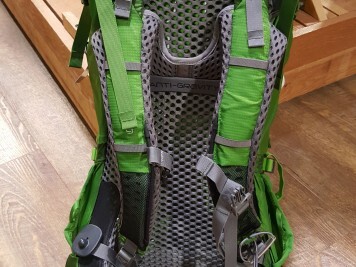 A backpack that says it has holds 70L sometimes includes the compartments; if it has many compartments you will find it difficult to pack as not everything will be to the dimensions of the extra pockets. Osprey. This is my go-to brand for traveling; their backpacks are light weight, durable and have a lot of great added features. There is also a huge selection of different styles and colors. The downside they are a bit on the pricey side, so try to look for sales! North Face. 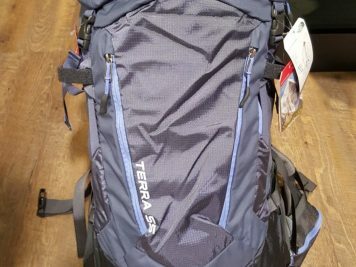 I’ve never been a huge fan of this brand, but I tried there Terra series out in Pakistan and it was great. It was durable, spacious and left lots of room for souvenirs. The downside was that it was not very light and the shoulder straps were bulky. 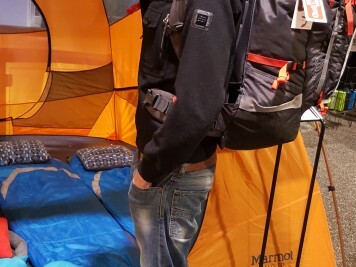 Mountain HardWear: These packs are top notch for durability. Lots of models are front-open style so they are incredibly convenient in terms of accessibility. They are sleek and look amazing, but the big drawback is they tend to be very pricey. 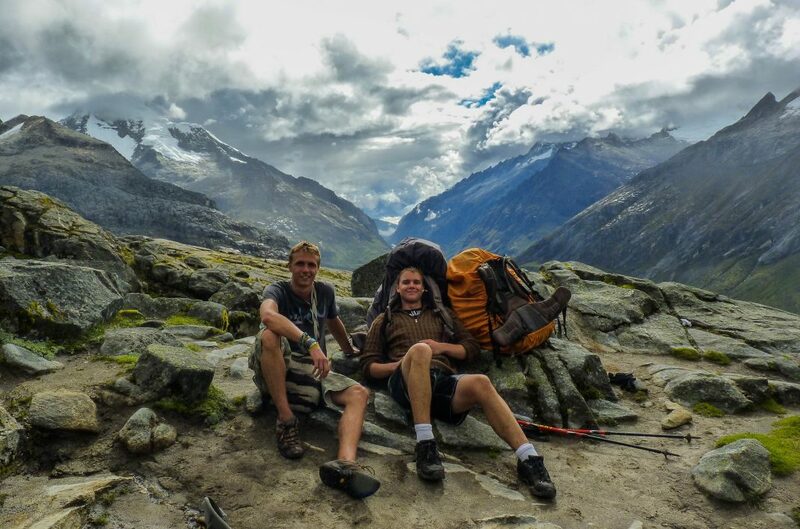 The South Col 70 is one of my favourites because of its well-built frame and tough material. It has a large centre storage which seems to fit any article I cram into it. 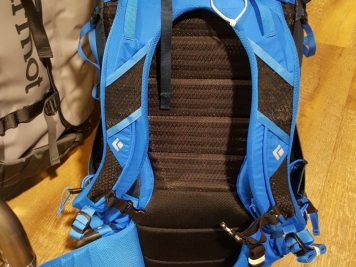 Another great feature about this pack is the gel like shoulder and waist straps. They feel like a cool gel that molds to you and are small and compact. This pack also claims to be water resistant, which comes in handy traveling in unpredictable weather conditions. 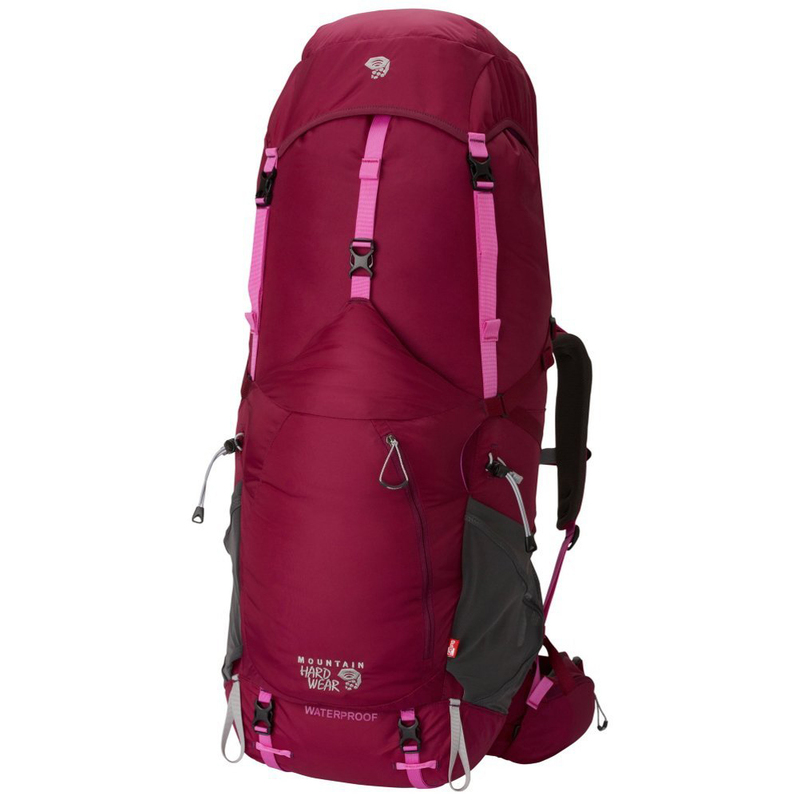 The South COL also comes in a 50L size if you are looking for something smaller. This pack usually runs at about $300, but it’s worth it. 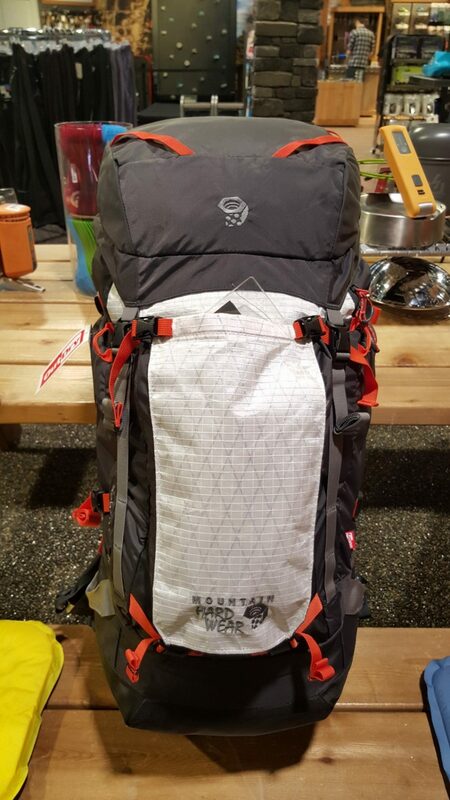 Very light weight – By itself, this pack weighs in at around 3 pounds, giving it an incredibly lightweight feel for the durability of the material. 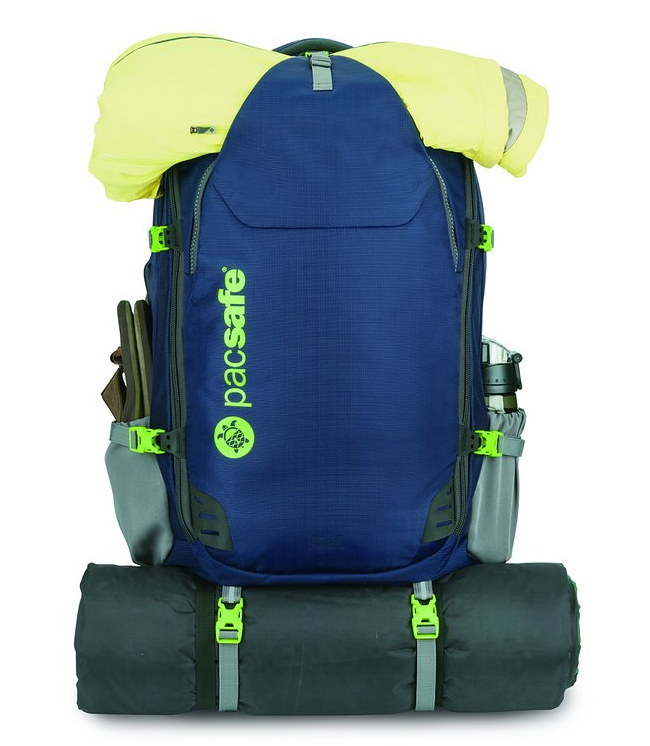 Durable material – It’s great at keeping water out; a tough pack built for many years of hard travelling. The straps – The straps really are comfy. The gel like material forms to you and the straps themselves are small so they don’t get in way. Centre storage dimensions – Yes it’s a top loading Backpack but it feels like there is so much space to fit all your gear and those precious souvenirs you bought for your mother. It looks great – Now some say looks don’t matter but in my opinion, they do. This pack looks good and doesn’t stand out too much, so if you’re trying to blend in this sleek looking pack will add that extra edge. Winner of Backpacker Magazine’s 2015 Editors’ Choice Award, this is an incredibly lightweight bag I have taken traveling many times. 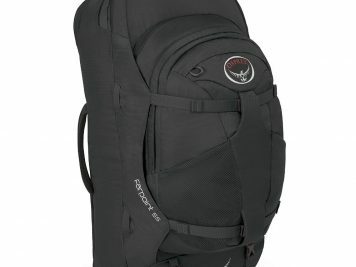 I love this pack for its “anti-gravity” feature which keeps your back from touching the actual backpack itself, creating a dry barrier that keeps you cool. 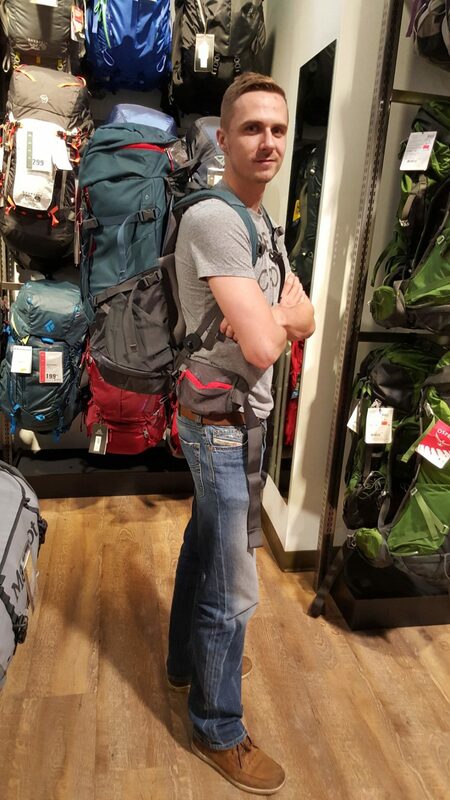 Smaller than other packs, but 50L still offers plenty of space even on longer trips. If weight and comfort are high on your then list this pack is for you! If you are more concerned with durability, the lightweight fabric tends to tear more easily than others. This pack usually costs around $230. Weighs virtually nothing – With its wire frame and mesh straps this bag feels light. With all my equipment in it I can barely tell that the bag adds any weight to it. “Anti-Gravity” straps – The shoulder and waist straps feel like a pillow wrapped around you. They are also made of a mesh that keeps the sweat off you and your pack, perfect for hot destinations or long treks. 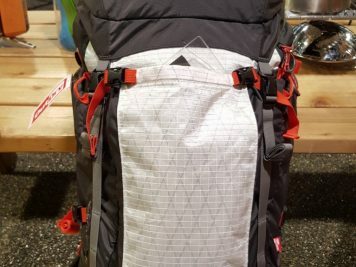 “Anti-Gravity” suspension – This pack feels cool for a reason – the back suspension prevents the bag from making contact with your back and while building a nice barrier to keep you cool. It also adds great support and comfort for those long distances you have to cover. Internal compression – After thoroughly stuffing everything in the pack, an extra compression strap built into the pack itself allows you to squish it down to the size you need. Front panel pockets – An access zipper on the front of the pack makes this a blend between the Travellers and Backpacking packs, allowing you to access the internal compartment and that last pair of clean socks without tearing through the whole thing. Large Front Pocket – The front pocket is large and made from a stretchy mesh so it can extend far beyond its limits adding yet more room to this pack. 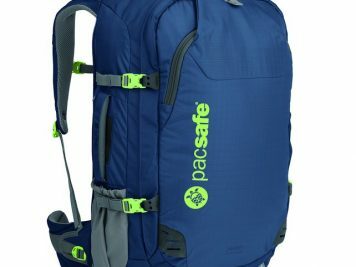 This pack easily takes a spot in My Top Backpacks and for good reason: it eases heavy loads with its waist belt to make long distances with a lot of equipment easier. It’s also available in a variety of sizes and colors. The straps are extremely comfortable, but the best part is the amount of pockets allowing for easy access and simple, on-the-road organization. 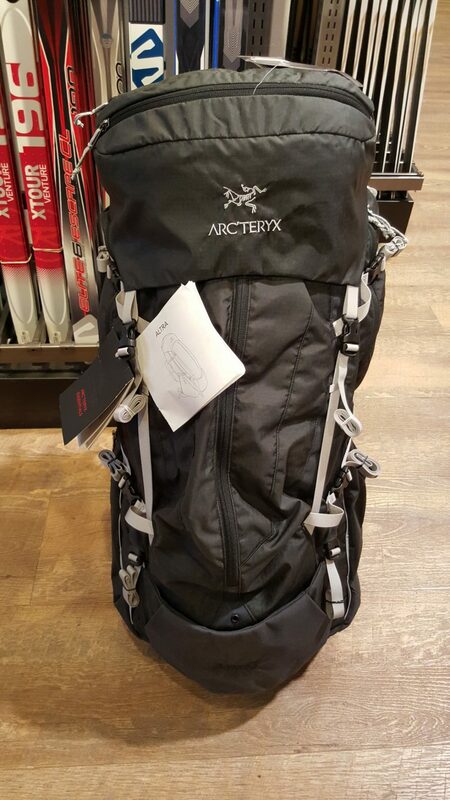 By far one of the most expensive backpacks I have tried out, the ALTRA typically sells for around $400. But, this company does offer a lifetime warranty on their bag. It’s tough – ALTRA is tougher than other packs, which is why they offer the warranty. This one is guaranteed to last you wherever the road takes you. The zippers are also more durable than other packs I’ve tried. Multiple access points – This bag makes it easy to retrieve anything from anywhere within your bag; multiple access points are great and make organizing this bag more strategic and efficient. Weight balance – The way the weight is balanced on this bag is amazing- after playing with the waist strap for a while it felt perfectly balanced and incredibly comfortable. Walking longer distances with this bag is a clear winner for this reason. Comfortable straps – After the weight has been balanced you will notice how comfortable the straps really are. They are made from layered padding and feel quite soft. While not the best straps you can get on packs, they defiantly add comfort over longer distances with heavier weight. 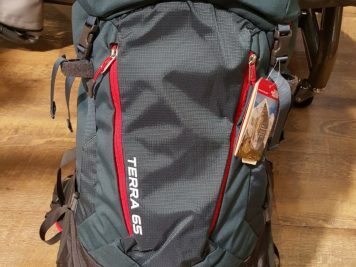 The TERRA series is another backpack line I’ve taken across the globe. 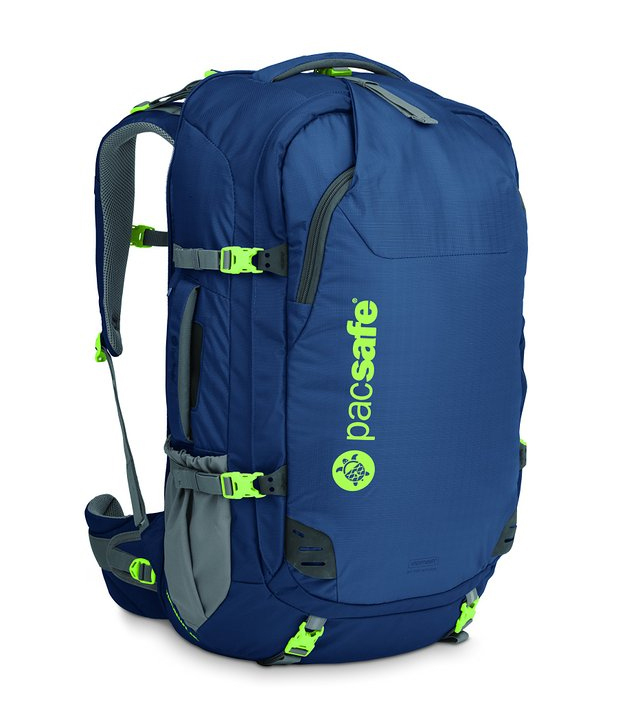 This is a great backpack if you’re unsure about the duration of your trip or the style of traveling you will be doing – perfect for your first trip! It’s a great choice because of its large and flexible size; it features a top load but has access through the bottom of the pack. Adjustable suspension is top notch and designed so you can easily change it for your comfort. Inside the pack there is a small lined pouch that is handy for holding guide books and note pads, as well as a separation layer that is removable and can be used to separate your clothes from electronics. The top compartment is spacious and I was able to fit all my bathroom products and laundry soap with room left over. The best part about this pack is the price. 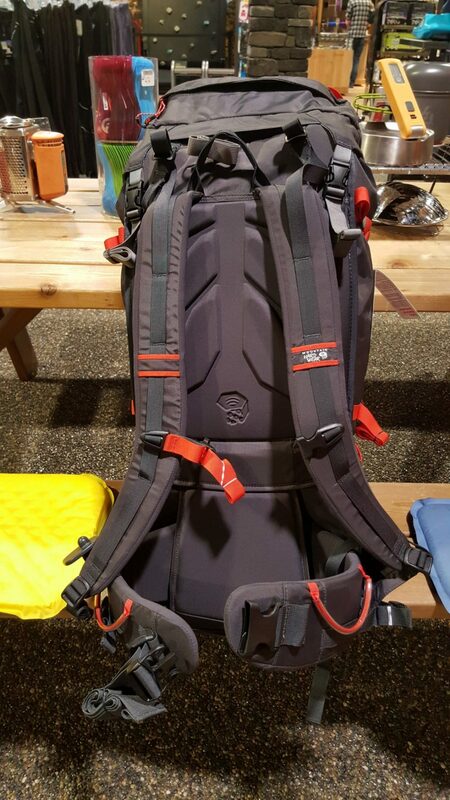 Ranging around $180, it’s a great choice if you’re unsure about packs or on a budget. Lots of room – This pack carried a carpet from Kashgar, Mongolian Del, Kazakh eagle hunting equipment, and all my camera gear, but still felt like it had more room so spare. This bag just keeps taking in more and more. Fairly comfortable – This wasn’t the most comfortable bag I have traveled with, but for how primitive the waist and shoulder straps are it held up well. While hiking in the Himalayas in Pakistan, the waist strap and combined suspension system saved my back from hauling so much weight up the side of a mountain face. It can take a beating – It survived a long trip through North East India, Pakistan and Mongolia and still looks brand new. It kept the dust and rain out all while keeping my equipment safe. This pack doesn’t look that tough but it certainly stood the test. 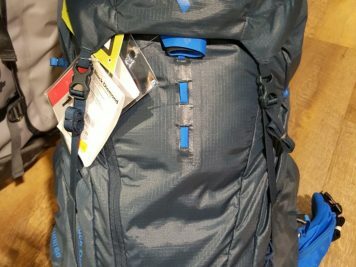 The price is right – 180 dollars for a sturdy travel pack is a great deal! Normally I would spend more than double that on a pack I thought to be superior to it. 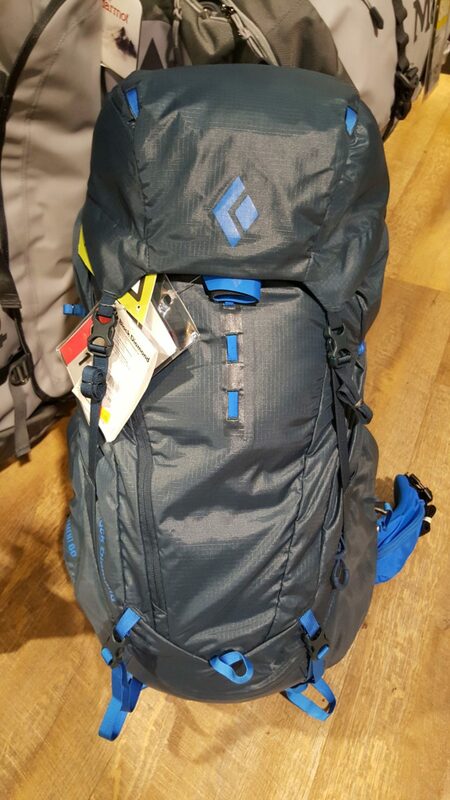 As I said before, it’s not the best quality pack out there, but it’s great for the price and for the right trip. 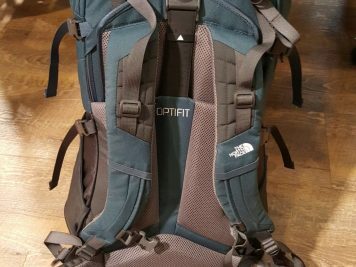 The first Traveler Backpack I have tried and reviewed, the FARPOINT is a great choice for those not traveling too long or planning on shopping. It unzips all around making packing simple and easy. The straps are simple, but for its size and carrying capacity they are fine. This pack also features a smaller detachable pack that can be used as a day pack or as a carry on. Designed for traveling, I can honestly say it really felt good to have a pack that was made with my needs in mind. Incredibly easy access – Instead of pulling all the items out when I arrived at my hostel, I just unzipped the front and it became just like a travel suitcase. This made traveling easier by cutting down on packing time. 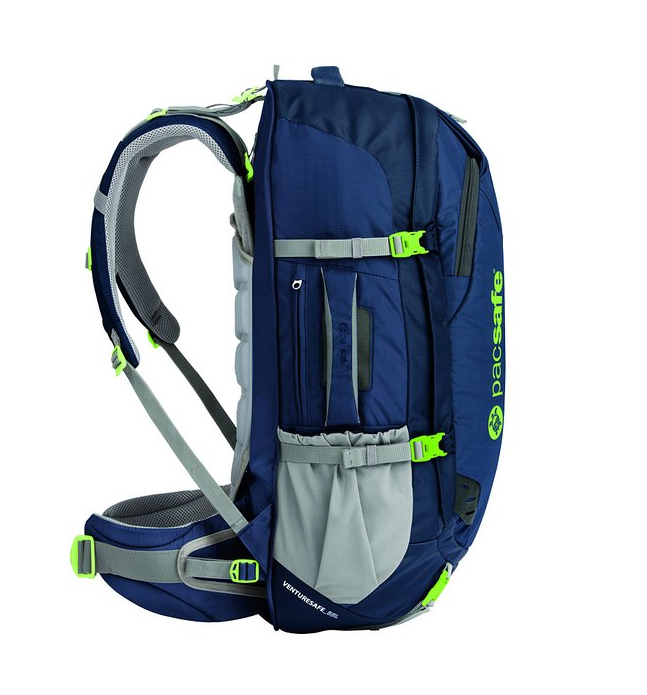 Detachable pack – The detachable front pack is great for day hikes or just wandering around town. When you’re ready to move on, you can just re-attach it rather than hauling two separate bags. 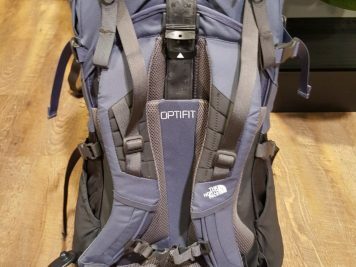 Large range of pockets – After getting used to this pack I discovered all the extra pockets really added a lot of organization. It took some getting used to, but once everything was in place there was no more need to try and remember where I put something. Great for quick access to that MP3 you desperately need on crowded trains. It’s pretty much, carry-on size – You really can cram this thing into the small carry on size measuring box at the airport. If you’re just doing a quick trip this is the ultimate pack, letting you can beat those baggage belts and stop wasting time. 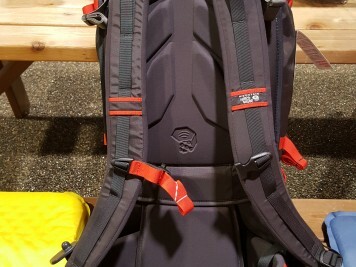 I am fairly new to the Black Diamond brand, but after thoroughly testing one of their packs out I can honestly say they deserve recognition in the traveling world. It’s an incredibly well balanced bag that does a great job at keeping the water out and also amazingly light! 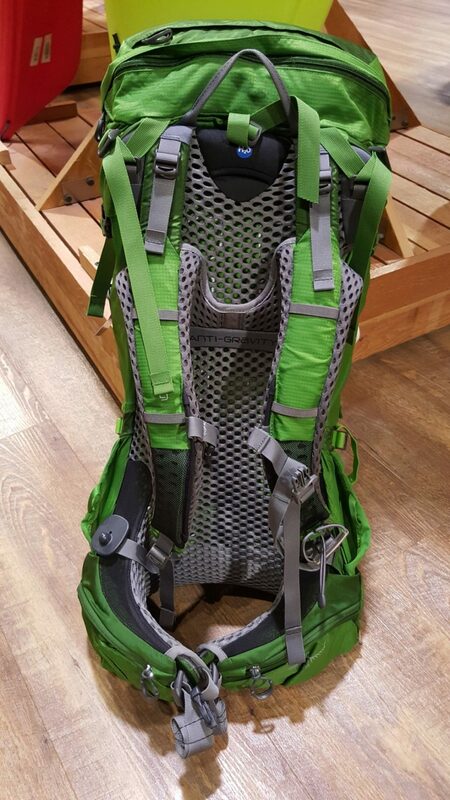 This hiking pack has once again hit the market with a front and top loading feature; the zipper down the front allows easy access while the frame of the backpack keeps it from getting that towering over your head look. They used to be out of my price range, but are now quite affordable at around $220. Simple, but efficient design – It’s a fairly basic bag but is very spacious and easy to pack. The buckles and straps are great quality so compressing it is easy. Front and top load – The front zipper spans almost the entire length of the pack, making it easy to grab anything you need in short notice and go. 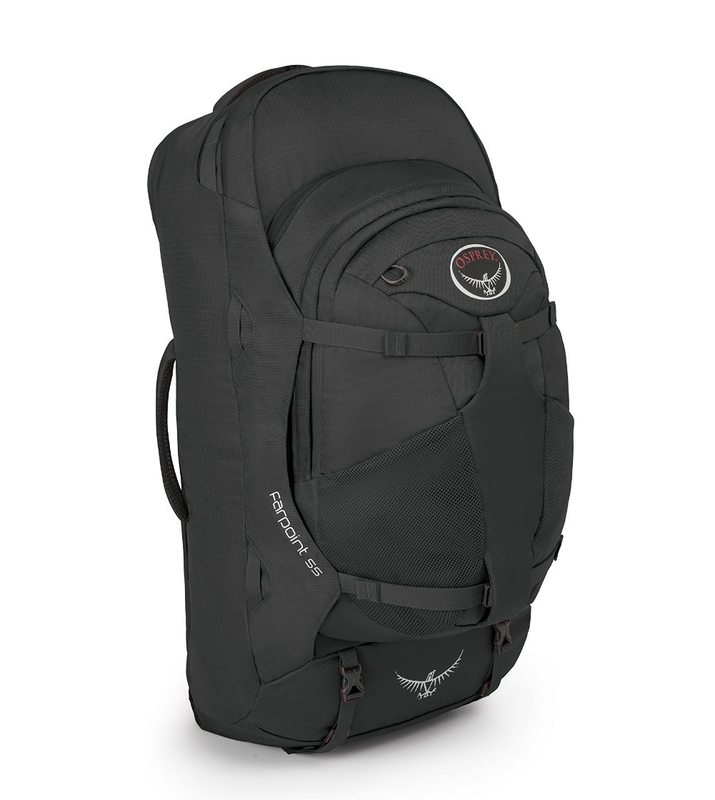 The pack’s top load system is also great at making it easier to compact your bag to have a less bulky feel. 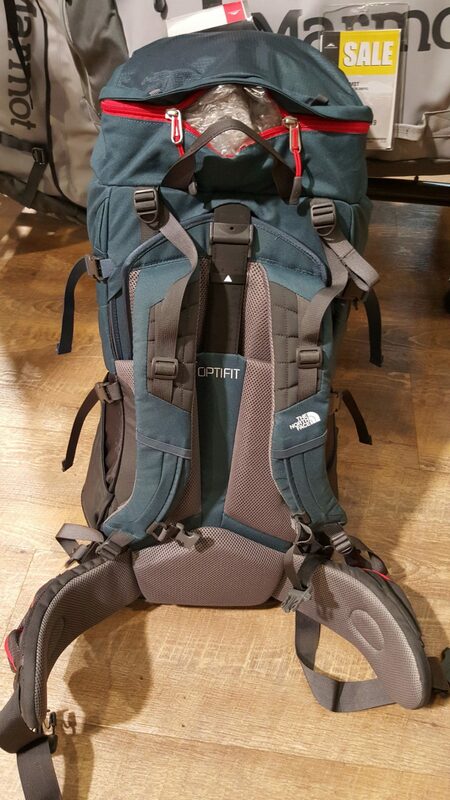 The ‘reACTIV’ feature is great – This pack fits so well to you it hardly feels like you’re carrying a bag. Its reACTIV feature adds that much needed support. Combined with some pretty great waist and shoulder belts, this pack won’t bring you down anytime soon. It’s a lightweight – After walking around with just this pack on I totally forgot I was still carrying it. It’s a lightweight, comfortable pack, that really lets you stuff it full of souvenirs with no worries. This is quite possibly the ultimate travel backpack on the market. It’s lightweight, large and spacious, but its main draw are the security features. 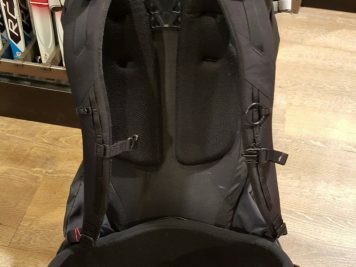 This backpack is basically a safe and includes multiple different locks to secure all the zippers. The zippers themselves are made of a high grade material that is resistant to puncture attempts. The full bag is covered in a slash proof material making this the bag perfect for anyone traveling to more dangerous countries, or if you’re carrying valuables that need to be kept safe. This pack sells online for around $250, a great price considering its awesome features. It’s like a safe – This thing has so many security features I often forget to use them. It’s a thief’s worst nightmare and defiantly will keep any valuables safe and away from the hands of a thief. Easy packing – It’s straight forward like a suitcase with a large square open cavity that makes packing and organizing no problem at all. Has multiple extra pockets – After digging through this pack I found more and more pockets adding more space and easing organization… did I mention that it’s slash proof so thiefs won’t get in? Top and side handles – With multiple top and side handles, this pack is similar to a suit case and will never leave you frustrated and struggling for a grip, whether loading it on an airport belt or on top of a camel. Side compression straps – Another pack featuring great compression straps; pull down hard on these ones and watch it shrink it size. 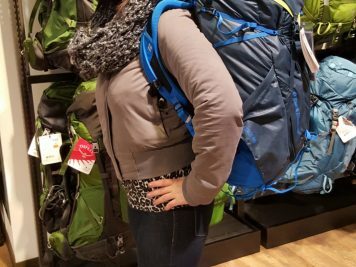 This Backpack designed specifically for women is my friend Jen’s favourite pack. It can haul loads up to 45 pounds and has great air circulation. It features so many pockets and a large side zip entry that is great for easy access, as well as adding the feature of making packing less stressful. Its sleek design looks good and fits perfectly to a woman’s body. 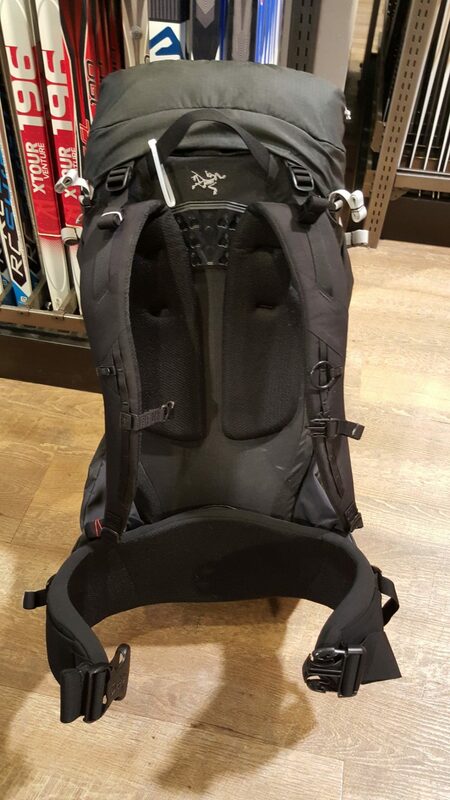 Selling around $160, this pack is perfect for girls on a budget. It’s designed for women – A pack designed specifically to meet a woman’s needs is a great idea. Men and Women have very different frames and a backpack should be designed to fit our differences. 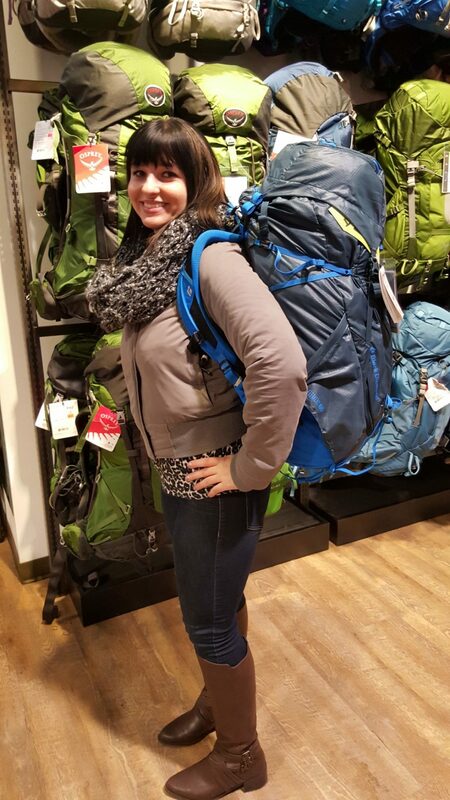 Jen said this pack fits and feels great. So many pockets – There are so many different areas to put stuff on this bag. 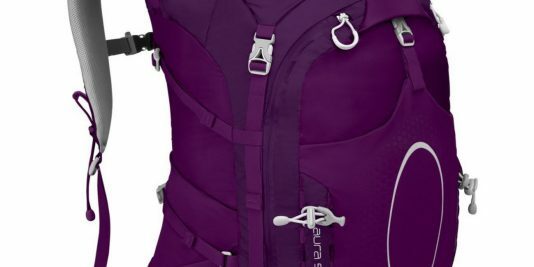 I especially like the pockets on the waist straps, which can be used to store those items you need to have handy and ready to go. The vertical channel – The vertical channel feature is great for if you’re traveling in South East Asia or other hot areas as it provides quite a lot of air circulation, keeping you calm and cool and your bag dry. Front, bottom, and top loads – With so many ways to get in and out of this bag you will have no issues packing it in an organized way, or if you’re in a hurry to catch a bus stuffing things in from multiple directions. Another great pack designed specifically for women’s frames, this pack is my mom’s favourite. 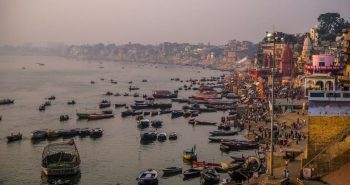 She has taken it through South East Asia and the Indian Subcontinent. 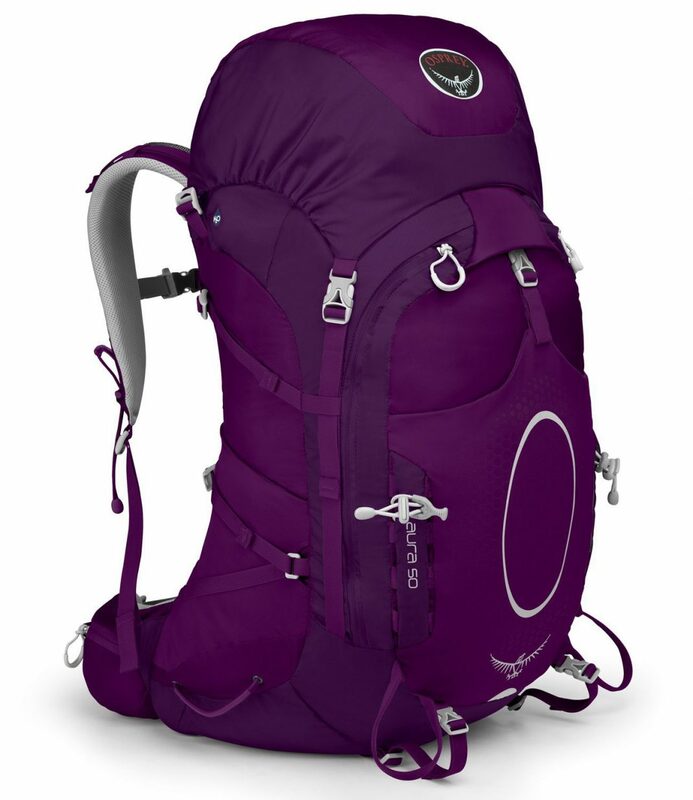 Its lightweight and durable frame makes it a tough pack for tough women. This is the older model, but it’s a bag that will last. It’s created to be incredibly comfortable and fit women perfectly and, as my mother would tell you, it does exactly that. With a midrange price of around $300, it’s a great investment as you probably won’t need to buy another pack anytime soon. It can handle a lot of travel – My mother doesn’t travel to easy destinations, she goes all in. This bag has been reliable and toughed through all the obstacles they have encountered together. It still looks like new after all this time. Compresses very small – After everything is loaded and you pull down on the compressions strap this bag can fit as a carry on no problem. It holds a lot but can still shrink down to the size you need. Crazy comfortable – I lifted this bag up at the airport and could have sworn my mother had filled it with lead weights. But, to my surprise she strapped it on with no problem and was ready to go! It’s great suspension and comfy straps will allow you to hike and shop to your heart’s content. Surprisingly, so lightweight – Considering how durable this bag is, it’s amazingly light. For long journeys, this bag carries my highest recommendation in terms of being lightweight, durable, and crazy comfortable. It’s waterproof, lightweight, and designed for women tackling big adventures. 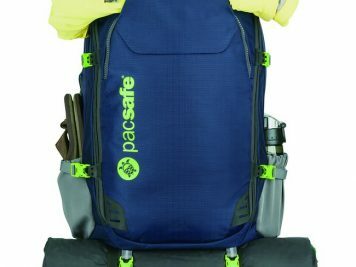 This pack boasts a lot of features including extra-padded shoulder and waist straps, load transfer designed for comfort over long distances, and water proof material for keeping your belongings safe from the elements. 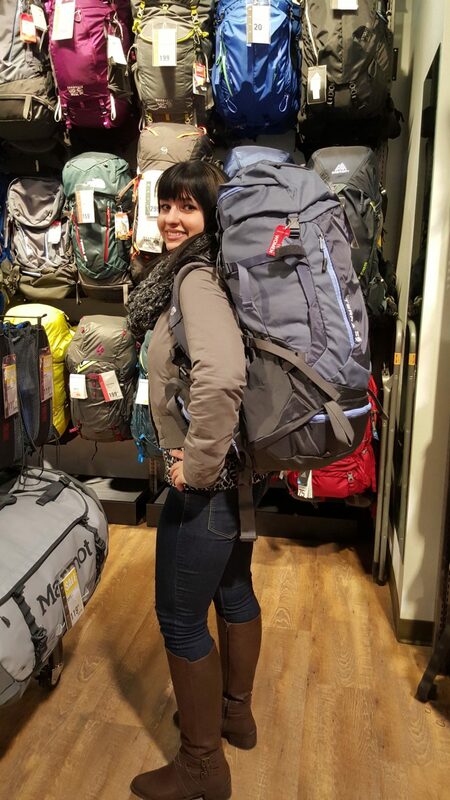 This pack looks great, but can tower high above your head when fully packed, which can tend to throw you off balance. This pack sells for around $260, making it another great mid-range pack. It’s waterproof – This really comes in handy. There is nothing worse than being caught on a boat or on top of a bus with no umbrella, the rain soaking through your pack and into your warm, dry clothes. Fairly versatile – Adjusting the suspension and straps on this bag is no problem. 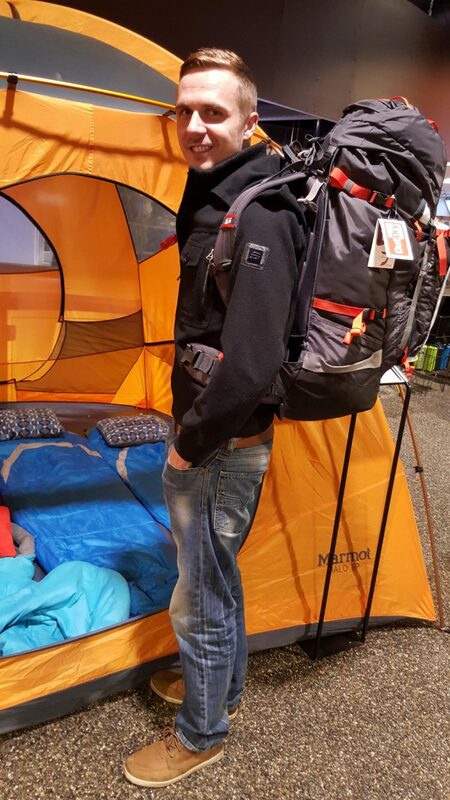 It transfers weight and keeps you balanced better than other tall packs. Top compartment floats – This sounds like a strange feature to have, but if you’re traveling on the sea or out on a boat for Scuba Diving, then this top compartment is an essential storage feature for anything you don’t want to drop into the abyss. Features a good amount of compartments – Instead of being overwhelmed with a ton of different compartments, this pack features a few strategically placed ones that allow you easy storage and accessibility. This wasn’t an easy choice for me as I really have enjoyed traveling with quite a few Backpacks. But after taking the ATMOS AG 50 across the Sahara and to the top of the Himalayas it’s definitely the best pack for me. I love how lightweight and comfortable this pack is. People have often asked me if it is magic due to the fact I can fit anything in this backpack and still seal it up. It has benefited me in all different environments and it’s toughed through some of the hardest roads I have taken. It also comes in some great colors if the lime green is off putting to you. 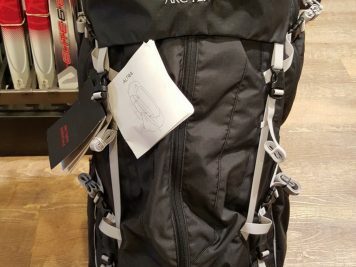 So I give it all to the ATMOS AG 50, my traveler’s choice backpack. 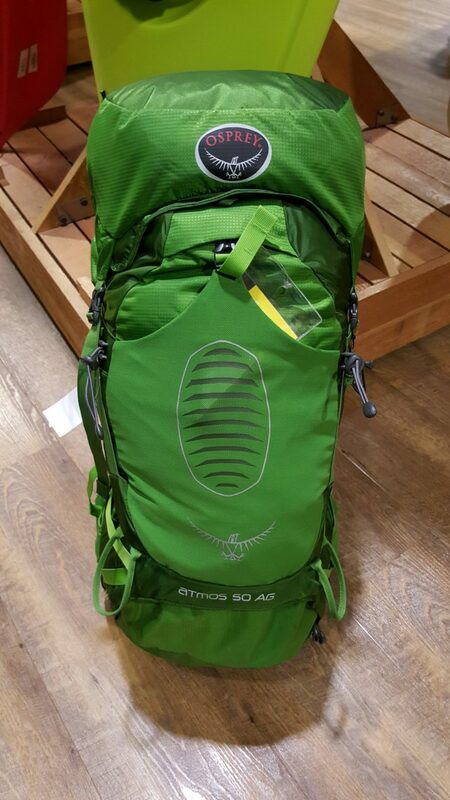 No surprise here, the winner is the Osprey AURA 50. 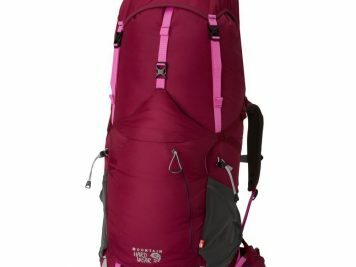 The other packs have great features but this is the pack that was first choice for all the exploring women I know. 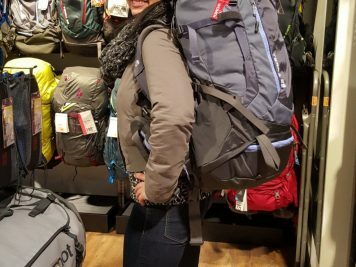 It fits the best out of the three Women’s packs I reviewed, and its durability has been proven on the tough journeys I’ve seen it dragged through. So if you’re looking for the perfect pack for women then look no more! I guarantee you will be more than happy with this choice. Prices of backpacks can vary depending on the time of year you purchase. With a few tips you can save a lot of money on backpacks and get your top choice for a lot less. Avoid buying in the summer – In summer prices tend to go up, especially hiking packs. Wait for sales – In the fall and spring I find that expensive brands go on sale. I have seen some up to 50% off the original price. Buy online – You can often find great deals on Amazon or other outlets online, so take the time to browse. 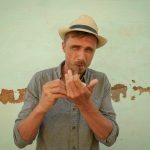 Buy older models – Older models are not less superior to the newer ones, sometimes all that changes is the colour and the placement of a pocket or two. Be flexible – Everybody will find a bag that they really like, but it never hurts to look around. 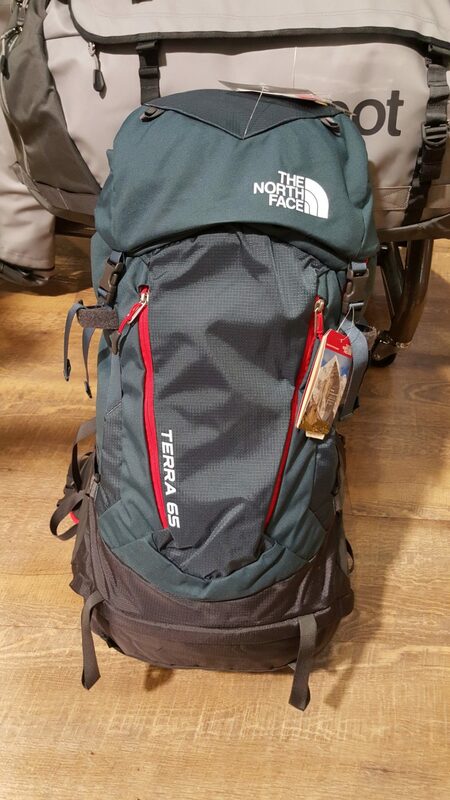 You might find a pack with features that suit your needs better than the one you originally liked. Try it on – It’s very important that you try the pack on before you buy it. 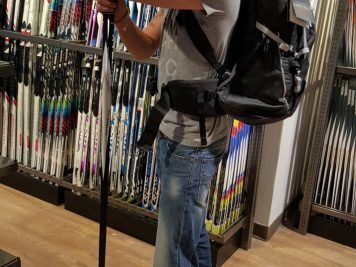 If you’re looking online, go to a gear store to test it out before purchasing. Rolling suitcases are amazing for being organized and comfortable (because you just have to drag it), and tend to be really solid so there are no worries about anything getting broken inside them. 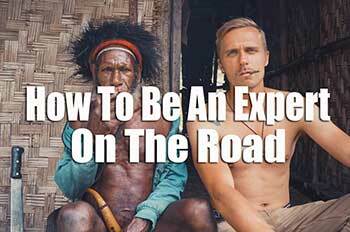 However, there are some major reasons that you should NEVER bring one “Backpacking”. Bulky – These cases are bigger and bulkier that you’d think, plus they’re square (or rectangular) and rigid. They’re better suited for a resort than multi-month, multi-country backpacking. 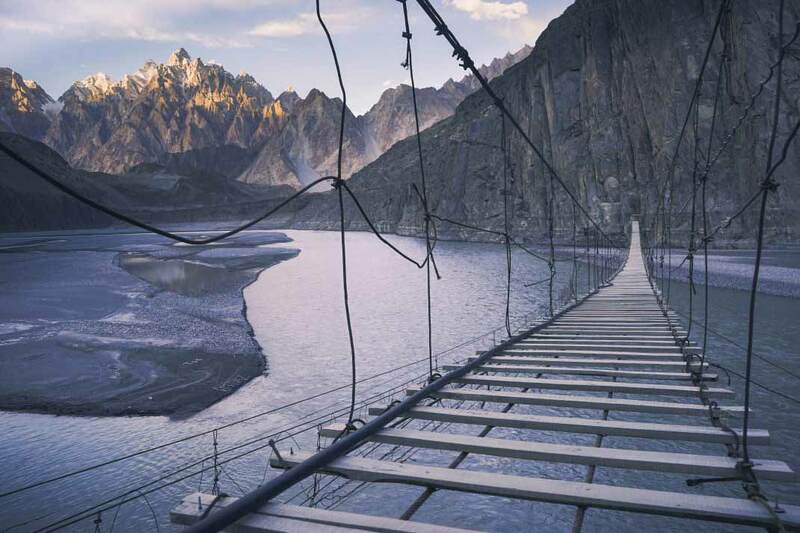 They will also make it difficult to navigate trains, taxis, and buses. They only work well on pavement – As soon as you leave the airport you’ll be faced with cracked sidewalks, sand and many other types of terrain that will leave you feeling frustrated and defeated. Parts break – The wheels and adjustable handle are prone to breaking, especially when you begin to acquire things and the weight increases. When these pieces break, your only solution is to buy a new case. 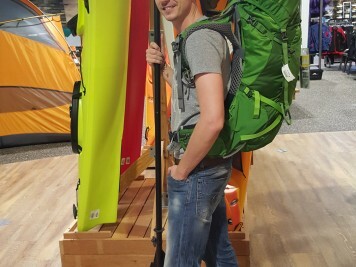 They are expensive – When you compare the versatility of a backpack compared to a traditional rolling bag, the backpack will always give you more bang for your buck. Save yourself the trouble and frustration – I encourage you to try a backpack even if you are just going on a small vacation. 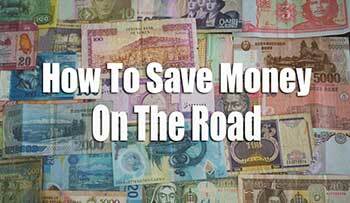 You will realize how much time you save and how much more flexible you can be with your new travel home. It is really important that you are comfortable when you travel. You know that your things is organized inside your backpack.